30,000-60,000 BTU, heats up to 1,250 sq. ft. 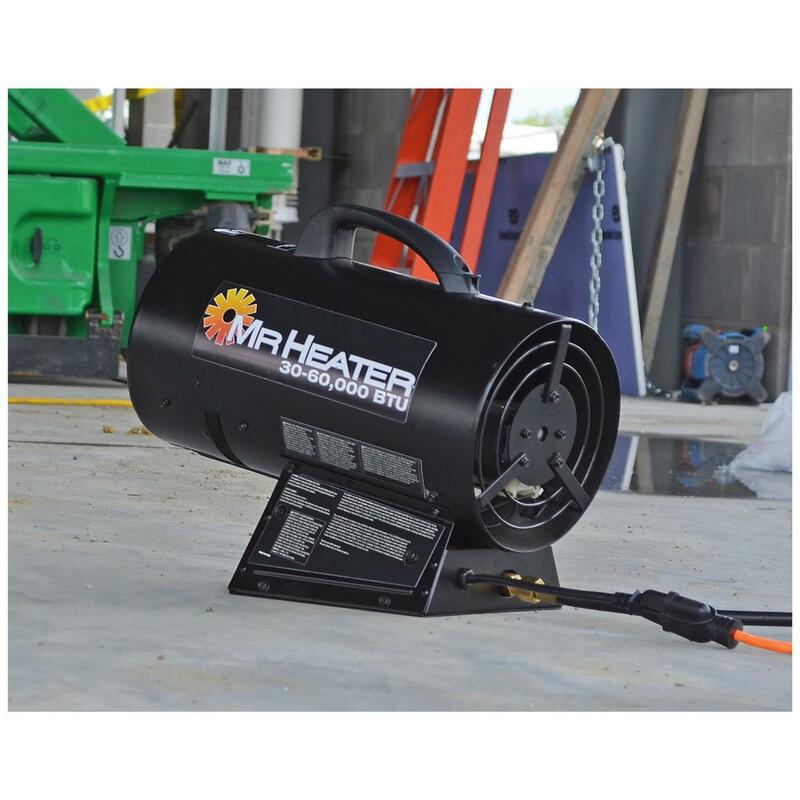 Whether on a construction site or in your workshop, Mr. Heater keeps you warm with this Forced-air Heater. 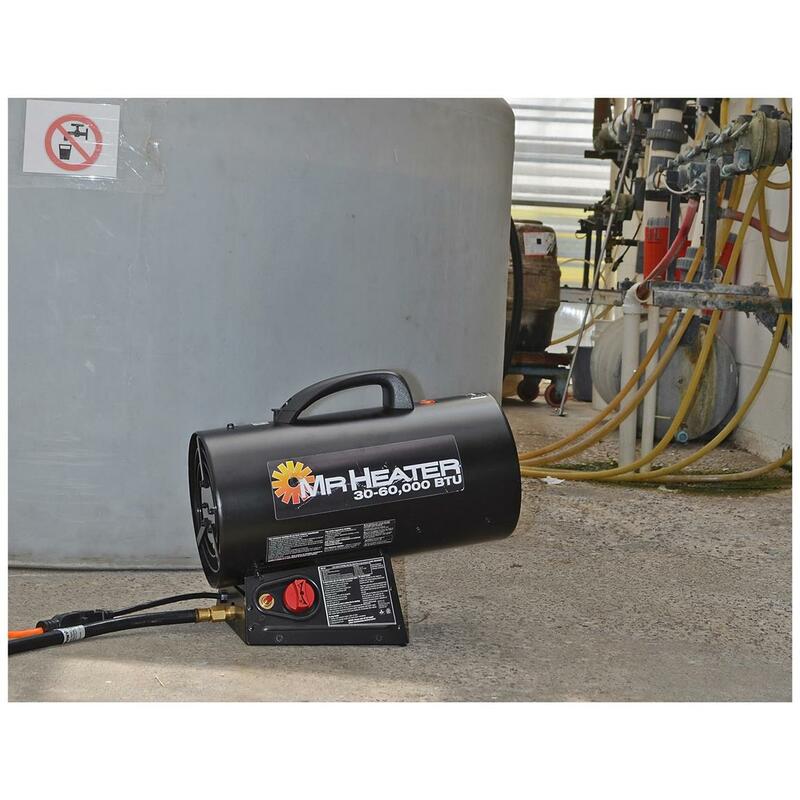 Pumping up to a whopping 60,000 BTU per hour, it can heat an area of up to 1,250 sq. ft. At a scant 20 lbs. and connecting to a 20 lb. propane tank, it can be easily taken with you, whether moving to a new jobsite or just a new area on the same one. If you've ever used a forced-air heater, you know they're loud. At times, you'd rather be cold than have to listen to that droning. Mr. Heater has corrected that issue with the patent pending Quiet Burner Technology (QBT). 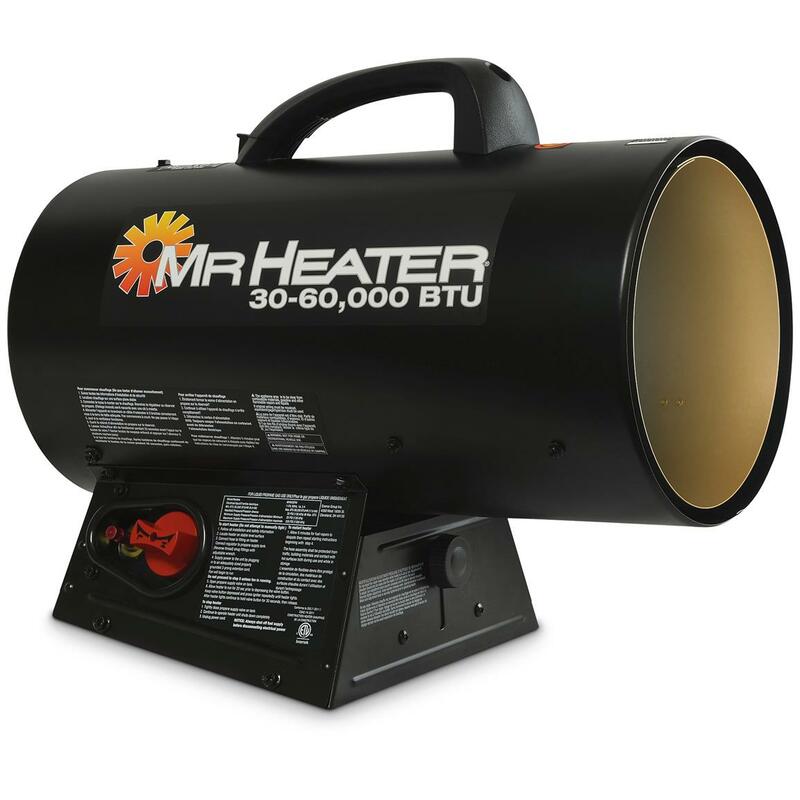 Consistently delivering 7-9 dB lower sound intensity when compared to other forced-air heaters, this means other heaters are up to 2X louder as compared to the same Mr. Heater with QBT. Heats up to 1,250 sq. ft. Measures 19" x 11" x 14"h.
Keep warm and order today! Dimensions: 19" x 11" x 14"h.